Banks offer a variety of "products and services", but what do they mean by "product"? 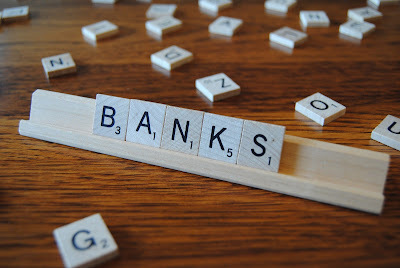 Understanding the banking system can seem like a daunting task to the outsider. I talked to an engineer once. He said that he held a master’s degree, worked in the field for 30 years and could build me a nuclear lab if I needed one, but just couldn’t quite grasp financial matters. I was able to demystify the concerns he had in the hour we talked. He indicated that lacking information is what kept him from making the best use of his accounts. It is not necessary for you to understand ALL the intricacies of the banking business in order to take advantage of the products and services they offer. Simple basics will take you far. Let’s take a look at the case study of a person who did things right. We’ll call him Robert. He started working part time when he was 15 years old while going to high school. He saved up money for things he wanted. He graduated from high school just before he turned 18. Robert was on the way to the beach with his friends to drink beer and surf on the beach. He told them to go on ahead of him so he could step into his bank and open a new account. They all laughed at him but he went on his way. As they were at the beach he went into the bank and opened a brand new product the bank was offering through the government called an IRA. They said that he would be guaranteed 10% until he turned 59 ½ years old. So he put in $2000 dollars and let it ride. Several decades latter that IRA CD is worth more than $48,000. Robert’s next great decision is that he bought an old car for cash. He then made payments to himself until he could buy his next car for cash. When he was ready to buy his first home he made sure to shop around and buy the home that was right. He made sure the payments were far under his comfort zone. If he could afford a payment of $1200 he bought a house with a payment of $950. Then he made the $1200 payment anyway and paid his house off years early. Robert is now worth more than 3 million dollars. He now owns four homes, three are debt free and one has a small amount owed on it. What is more remarkable about Robert is that he still works as a cashier and has never made more than $18 dollars an hour. He simply made many small and wise steps along the way that opened up a world of freedom. What is the secret to Robert's success? He said no to something today, in order to say yes to something tomorrow. In banking we call that a “Tradeoff”. Since he didn’t borrow in order to obtain the majority of what he has, he isn’t struggling to make the payments on it all. Therefore, he is free to enjoy what he has without concern about it. What do I mean when I say “products” in reference to a bank? Most people think of food, or clothing, or toys when they hear the word products. So what does it mean for a bank to sell a product? In the financial industry every account or service is a product. A checking account is a product and an ATM card is a product. Unbeknownst to some people, there are various types of products offered by the banks. Most banks offer more than one type of checking account for example. One checking may come with free check orders, or discounts on other services offered by the banks. Some checking accounts earn interest. Usually the more money you keep in the bank the more benefits you will receive on other products and services such as: free checks, discounts on fees, and more. The banks typically reward a commitment on your part. Sometimes the bank may be more likely to give you a loan if you’ve been with them for 30 years, than if you’ve never worked with them before, because they are able to prove your established history. Let’s take a look at some of the various products that are offered by the banks and a short description of what they do. The most basic of all banking products; the checking account is for the daily or frequent withdrawals, bills, and shopping. Some people even keep one account for bills and a second for shopping to keep expenses separate, or to keep better track of their spending. Many keep one account for personal use and another for personal but business related expenses. People who own property may keep a special account just for the deposits of rent checks and rental expenses. Too many accounts and you may just confuse yourself. However it can be nice to keep certain things separate so you don’t spend your bill paying money at your favorite clothing store! The Savings Account is typically where you want to keep anything beyond your monthly used budget. This is an account that usually, but not always, earns a higher interest than the checking. There is really a more important reason to keep money here than interest though. Primarily the principle of “out of sight, out of mind” is applied here. Experts typically agree you should work towards keeping 6-9 months of income set aside in a savings account. This would cover you if you were to be laid off, or experience an injury, or any number of unexpected circumstances. For the believer we expect the favor and protection of God at all times. However wisdom will help us recognize that we are not always at the top of our game, and can sometimes open the door for an attack of the enemy to slip through. Being prepared for what may come your way is an act of faith as well. Save don't store. Another even more important reason to save, as believers, is to have a seed bin. We must have a place where we have dedicated money aside to sow into the Word of God and the Lives of Others. S.O.W. Strangers Orphans and Widows, need us to look out for them (Deut 10:17-19). We as believers are their salt and light. We are their preservative and warmth in a world out to take them down. There is another type of savings account called a CD. CD stands for Certificate of Deposit, it’s also known as a Time Account. Whichever term the bank uses the idea is the same. You put money in, and commit to leaving it there for a specific amount of time; in return the bank pays you a higher rate of interest. This is where you want to keep any of the savings you plan on not touching for 6 months or more. I’ve talked to more people than I can count who have let $60,000 or more sit in a savings account for years on end earning 2-4% LESS than a CD would have at the same bank. Don’t ignore your financial matters. It’s harder to work money than it is to work for money, but keeping it serving you rather than you serving it will pay off in the long run. There are two ways to use your card. If there is no VISA/Master Card logo on your card then it is called an ATM card. You may use it at ATM’s to withdraw cash. You may also use it as stores or merchants that take debit cards. When you are at the grocery store and the machine asks you to press “Debit or Credit” you will select debit and enter your P.I.N. Your P.I.N is your Personal Identification Number. This type of transaction is known as a Point Of Sale Purchase, and may post to your account with the description of POS. These will nearly always post to your account the same business day you do them. If you have a VISA or Master Card Logo on your card than you will also have the option of pressing Credit. When the card has this logo it is called a Check Card. When you press “Credit” at the machine at the grocery store the purchase will still come from your checking account. Instead of that purchase going to a charge card account to be paid later, it will come directly from your checking account. It’s a replacement for writing a check. Paper checks are the oldest form of payment. You typically get a box of checks that hold about 100-200 checks, separated into smaller pads. You write the person you are paying, the amount both as a number (1) and as a handwritten amount (one), then you sign the bottom. Depending on how it’s processed this check once deposited by the person you wrote it to may take anywhere from 0 to 10 business days to clear, not including weekends or holidays. *Check 21 _Confusing for check writers: There is a new law called Check21. All banks must take an image copy of the original check and typically then destroy the original. This makes all checks electronic. Because that image is then sent to clear the check. Merchants, especially Credit Card companies, don’t usually bother depositing the check you mail. They “convert” the check to an electronic item and send it through. This has become a hybrid between a check and a card purchase. As time goes on it will become increasingly less likely you will be able to retrieve an image copy of the checks because companies find it faster and cheaper to convert the checks and send them through as “converted checks”. This way instead of being sent through the normal process they are sent through an automated process known as ACH. This is an electronic check. ACH stands for Automated Clearing House. This is when items are submitted electronically rather than by paper. This includes checks that are “converted checks”. It also includes “Pay by Phone”, “E-Pay” and “Auto-Pay”. It also known as a “Pre-authorized debit.” Companies obtain, hopefully from you, your routing and account number and submit an electronic draft from your account. You may have asked them to take payments automatically, by phone, online, or on a form you filled out. * Note on ACH: Companies are notorious for creating havoc on accounts through ACH. It’s only a matter of time before they take the wrong amount, on the wrong date, and cause overdrafts and find a reason to call it your fault. Don’t expect your bank to be MUCH help here. They MAY be able to fix it, or may not. I strongly recommend either staying clear of these types of payments entirely or opening an account JUST for these type of payments separate from your normal accounts. I don’t care how long you’ve been with them or how nice they are, it only takes one error to create months of work and headache for you. Don’t do it if you can help it. Internet banking is the safest, easiest way, to keep track of your finances. Due to bad media and urban legends online has gotten a bad rap. People often think that by signing up for online they are more open to hacking. The fact is that most hackers aim at large data computers, like the banks computers, which your information will be on whether you ever sign up for online or not. Numbers and statics vary constantly, but on average today less than 5% of all bank fraud is through information obtained electronically. More than 90% of fraud is committed electronically, but this is after getting your information through a physical means. Some ways your information is usually obtained are: Stolen checks, or finding your lost checks, stolen wallet, car broken into, or scams to trick you into revealing your information causing you to participate in the information leak. Online is the safest, fastest way to keep a hold of your banking. Most banks offer Bill Pay, Online Statements, Spending Reports, and more. This is an online service intended to help you pay your bills. It’s the new version of check writing. You input all the people you pay whether it's a one time payment or every month. The bank sends the payment for you and even pays for the postage. You can make a payment to a person or a business. You can make payments just once, or you can set them up to send automatically every month. This is usually free for most accounts at most banks. Almost everyone knows about Auto Insurance because in most states you cannot register your car without having it. There are many other types of insurance. Renters and Home Owners both cover your belongings in case something should happen to your home/apartment. Life covers your family in case you pass away. They even have Pet Health insurance now, to cover your pets’ hospital/vet bills. Often times the insurance provider will offer discounts for having more than once policy with them. For example having Auto and Renters may give you free or “like free” life insurance. “Like free” means that the discount by adding it offsets the cost of it so you pay nothing more so you may as well add it. Brokerage firms help you invest money. Typical investments include but are nowhere near limited to: Stocks, Bonds, Mutual Funds, CD’s bought from multiple banks, and more. Lending is the true purpose of any bank. To use someone else’s money to lend to you and make you pay the bank and the other person for it. Loans, Lines of Credit, and Credit Cards are the primary vehicles by which they lend the money out. But the details can vary wildly within those categories. Remember our case study: Robert? He learned a small but powerful key to living in financial success. That key was doing things right, conservatively, and taking time to research decisions. He learned over time the various products the banks offered and used them to his advantage. They key to using a bank to your advantage is taking the time to understand the products available and compare products between banks and within a bank. Make informed wise decisions. Don’t go ahead with anything until you've taken the time to understand what you are doing. On the other hand, once you have decided on a course of action go forward with it. Each step toward your goals will lead you to another step. The journey of 1,000 miles begins with a single step.